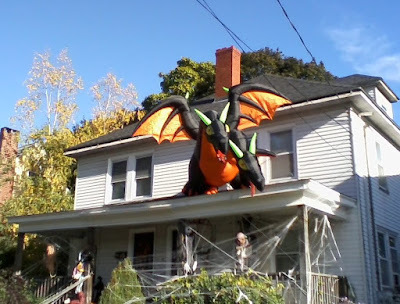 I love this celebration of Halloween in Portland, Maine! Everyone should have a dragon on the roof! !